Here are some updates for our Winter Gala. We hope to see you there! 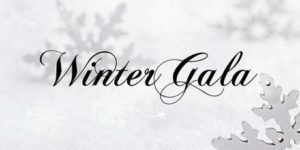 Harmony Science Academy Sugar Land is looking forward to celebrating the Holiday Spirit with ALL our students (performing and non performing students)and their families at the Winter Gala. The performance/concert will take place from 5:00 p.m. sharp to 5:30 p.m. followed by the magic of fun, games, activities, food, photos and more at the Gala from 5:30 p.m. to 7:00 p.m.
During the Performance: The concert program will begin promptly at 5:00 pm and conclude at approximately 5:30 pm. Out of respect for our performers and audience, access to the gym will be limited during performances. Note: To allow more space for seating opportunities strollers will not be permitted in the gym during the performance, please plan accordingly. After the Concert: Parents are asked to remain seated. Teachers will lead the performers back to the classrooms to retrieve personal items & a goodie bag. Parents may pick up their children from the classroom between 5:30 – 5:45 pm and make your way down to the cafeteria to enjoy the magic of fun, food, and friendship at our Winter Gala Festival.